Eternity: The Last Unicorn casts players as Aurehen, a young elf on a quest to save the titular last unicorn, who has been stricken by a mysterious curse. Aurehen doesn’t seem to have any particular love for the horned horses, she’s just concerned their extinction might mean the end of elven immortality. Apparently nobody in this world knows much about biology – if you’re down to the last unicorn, they’re already done for. You also occasionally play as a more typical Viking warrior, Bior, but he isn’t terribly important to the plot. He just steps in to save Aurehen when she gets herself in trouble. Eternity’s story is very simple “the chosen one saves the world” stuff. There’s a magical bell that will break the curse, but you can’t ring it until you defeat beat four big baddies, ect. Neither Aurehen or Bior show any real personality, and the plot boils down to a basic fetch quest. There’s lots of Nordic-inspired lore to peruse, but most of it doesn’t really matter. In fact, Eternity largely lacks that Viking flavor – for the most part, this just feels like generic fantasy fare. Warriors, elves, dwarves, and goblins. Hard-to-pronounce names aside, everything is straight out of the Dungeons & Dragons Player’s Handbook. 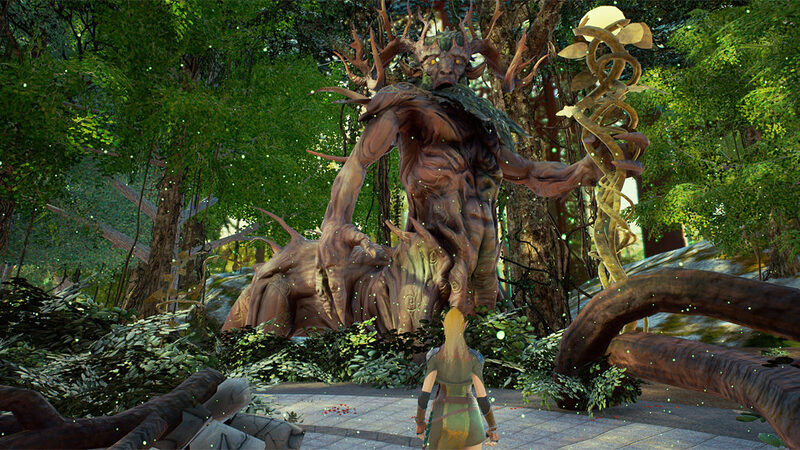 As mentioned, the makers of Eternity have compared the game to Dark Souls, but the resemblance is only skin deep. Yes, you save at bonfires and the boss health bars look similar, but the clever roguelike elements and intricately designed worlds of From Software’s games are nowhere to be found. The only meaningful similarity between Dark Souls and Eternity is that both are punishingly difficult, although in very different ways. Dark Souls is demanding, but fair, while Eternity is just frustrating and broken. The first thing you’ll notice when you begin Eternity: The Last Unicorn are the game’s somewhat-baffling fixed camera angles. Much like a PS1-era Resident Evil game, it feels like the world is made up of a series of postcards that don’t quite fit together. Even with everything 90s being in again, you don’t see a lot of games going back to fixed camera angles, and for good reason – they never really worked that well. They were a stopgap solution for developers who wanted to create detailed worlds on underpowered 90s hardware. Sure, some games like Resident Evil, Onimusha, and the original God of War have used them to decent effect, but Eternity doesn’t. The game’s camera angles are poorly chosen and the transitions between them are often jarring and confusing. Maybe the fixed camera angles would be forgivable if Eternity was, like, really really pretty, but it’s not. This is a game with a PS1 camera and PS2 graphics. Once you get past the camera, the next irritation you’ll face is the combat. You have regular and strong attacks, a dodge, and a screen-clearing special you build up by killing enemies, and that’s about it. You eventually find a ranged secondary weapon, which is the only real character growth you get. I’d call Eternity a mindless hack ‘n’ slash, but it’s worse than that. Attacks are sluggish, locking onto enemies is awkward, and using healing items takes forever and leaves you vulnerable, almost making them not worth it. Oh, and sometimes the controls just straight up stop working for a second or two. Shrug! 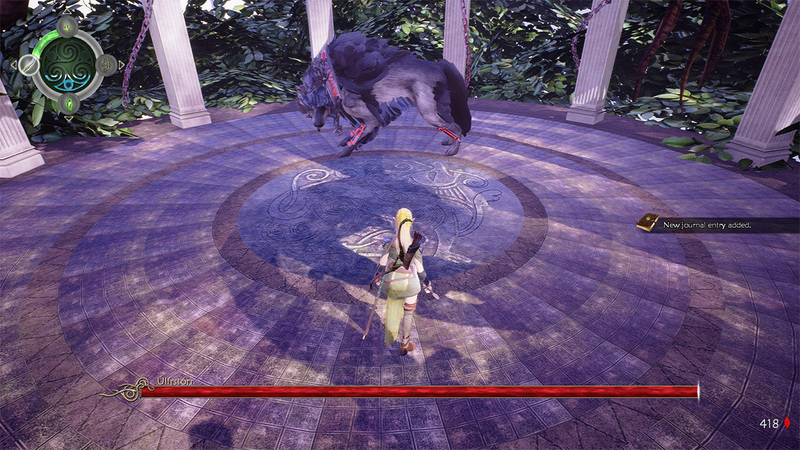 The issues with Eternity’s combat are most glaringly obvious during boss fights, which are tedious, punishing affairs. Basically, you spend 10 minutes or more mashing the dodge button, chipping at your opponent’s lifebar when you can. Hit detection is wonky as hell, so sometimes attacks will pass harmlessly through you, while other times you’ll take damage from something that clearly whiffed, which is particularly annoying given a lot of bosses possess 1-hit-kill attacks. Oh, and yes, there are unskippable cutscenes before every boss, thanks for asking. As bad as Eternity’s story, camera, and combat are, they aren’t what truly kills the game. No, the most galling thing about Eternity is its completely botched Metroidvania structure. 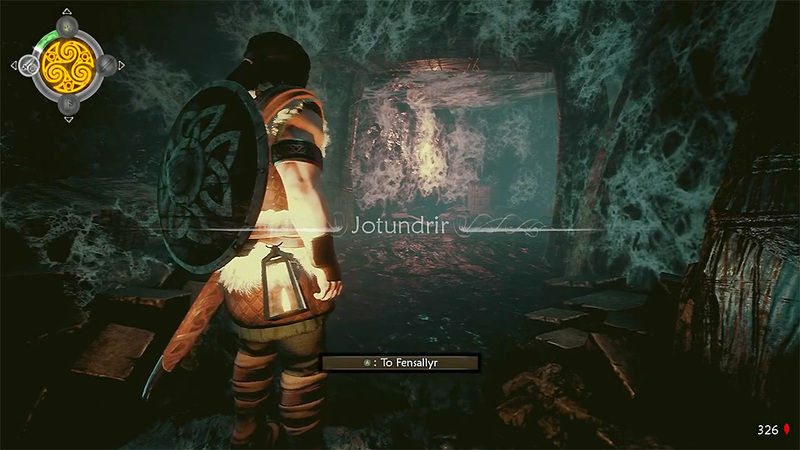 The game requires you to constantly backtrack through a small handful of areas in order to collect keys and important items needed to open the way forward. This backtracking is deeply irritating as you can’t move faster than a relaxed jog and enemies respawn in the same places every…single…time you revisit an area. Oddly, most of the key items in the game need to be crafted, which I’ve never seen in an RPG before. This may actually sound convenient, but trust me, it isn’t. There’s only one place to craft things, and the game won’t tell you what crafting materials you need for the next important item until you go there. So, the basic Eternity gameplay loop is – come to a closed door, run around a bit hoping you don’t have to craft something, give up and backtrack to the crafting place to find out what you need, run around the world looking for the materials, backtrack to the crafting place again once you get them, then, finally, return to the door to proceed. It’s difficult to describe just how profoundly discouraging and unsatisfying it is. There’s plenty more I could complain about. Like, how about the traps that are near-impossible to properly dodge due to the game’s lousy camera angles? The terrible placement of bonfires and checkpoints? The enemy attacks that clip through walls? The endless bugs? God, the bugs – I had the game crash on me two or three times. I should have taken the hint and walked away. 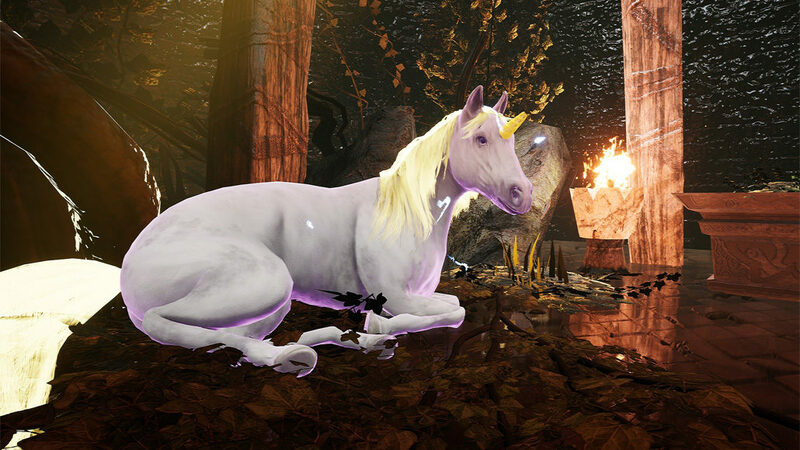 But your dutiful reviewer stuck with it, and I’ll admit, as frustrating as Eternity: The Last Unicorn can be, it did serve up brief flashes of something resembling fun. The game has some hokey, old-school charm, and I occasionally felt some of that “You’re not going to beat me, dammit” Dark Souls appeal when pounding my head against a boss. Eternity has a lot of problems, but it isn’t entirely irredeemable. Depending on your luck and how lost you get the game will take anywhere from 10 to 20 hours to complete, although I suspect most players will want to cut this Eternity short. This review was based on a PS4 copy of Eternity: The Last Unicorn provided by publisher 1C Entertainment. You can purchase the game for PC via Green Man Gaming.